Is it a lively atmosphere, sun and fun or a tranquil mountain retreat that makes you tick when you’re daydreaming about a holiday? Whatever type of travel you desire, whichever end of the world you would like to explore and with whoever you’d like too, TUI will take you there. What used to be known as Falcon, underwent a rebrand to TUI and still remains the number 1 holiday provider to take you out of Ireland, to all those places on your bucket list. Exploring the bountiful destination list is enough to inspire your next getaway to Italy, America, Asia and many more places. Go wild and exotic or for a bustling cosmopolitan vibe, whether you want chilled or outlandish activities to enjoy, a spa or a safari, you’ll find your perfect entertainment with TUI. You only need to take a look at what's on offer, or simply dive into the TUI blog to get some holiday know-how from the experts and you'll be up and away in no time! Whether you want to sun yourself in the Caribbean, discover Asia or hop around Europe, you could go multi-centre and visit more than one destination on your bucket list. With a grand array of city stays, beach trips, luxurious holidays and more available, it's all yours for the taking asTUI certainly has a trick or two up its sleeve to ensure that you get to everywhere that you want to be. With something for everyone, whether you want to go long haul or if you're looking for a last minute trip, TUI will never fail to inspire and help you build more happy travel memories. How do I use my TUI (Falcon) discount code? Enter your discount code when prompted and continue to check out with your savings. You can sign up for email updates from TUI Ireland to be among the first to know about all the latest and greatest discounts. Can I make a change to my TUI booking? You can make amendments to your booking in the ‘Manage my Booking’ section. Can I choose my plane seats with TUI? You will be able to choose your seat depending on the airline you fly with, and you make need to pay a small additional fee. Where can I find TUI travel updates? All the latest travel information and other alerts that may affect your holiday will be listed online. Be sure to provide the correct email address on making your booking as you will be sent your tickets in a PDF via email. 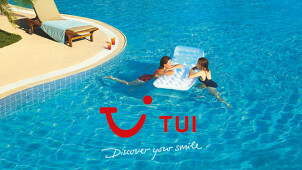 Contact the TUI team should you need to cancel your TUI holiday. If your wanderlust is calling and to help bring some pizzazz back into your everyday, taking a holiday or even just booking your next adventure abroad is all you may need to find that smile. TUI, previously known as Falcon, is synonymous with excitement and excellence when it comes to the best breaks. Book yours with a TUI (Falcon) discount code and you’ll be beaming with glee and anticipation right until you take off. For an all-inclusive in a sunny destination, a cruise or a multi-centre trip - you can have it all with TUI. The spotlight is on the TUI app, which makes both booking your trip and enjoying your time away even more fuss-free. With great features to let you find your holiday and then manage your booking while you’re on the go, there will even be a world of information about your holiday destination available for you to browse so that you’ll get the best from your TUI getaway! Sometimes an all-inclusive holiday is all you need. Perfect for adults and kids alike, while there are adult only options to explore as well. Our TUI (Falcon) vouchers will let you save on the right relaxation for you. A real TUI speciality, you won't need to worry about a thing. From the best hotel, flights, meal options and above all, price, to suit you - treat yourself to a TUI all-inclusive and you'll come back feeling brand new!